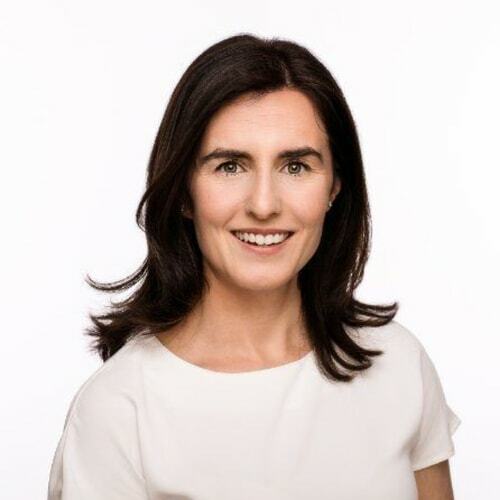 Anne O’Leary was appointed CEO of Vodafone Ireland in February 2013, having spent five years as Enterprise Director. She joined Vodafone from BT Ireland where she was Managing Director for six years and was previously Regional Director with Esat Telecom. 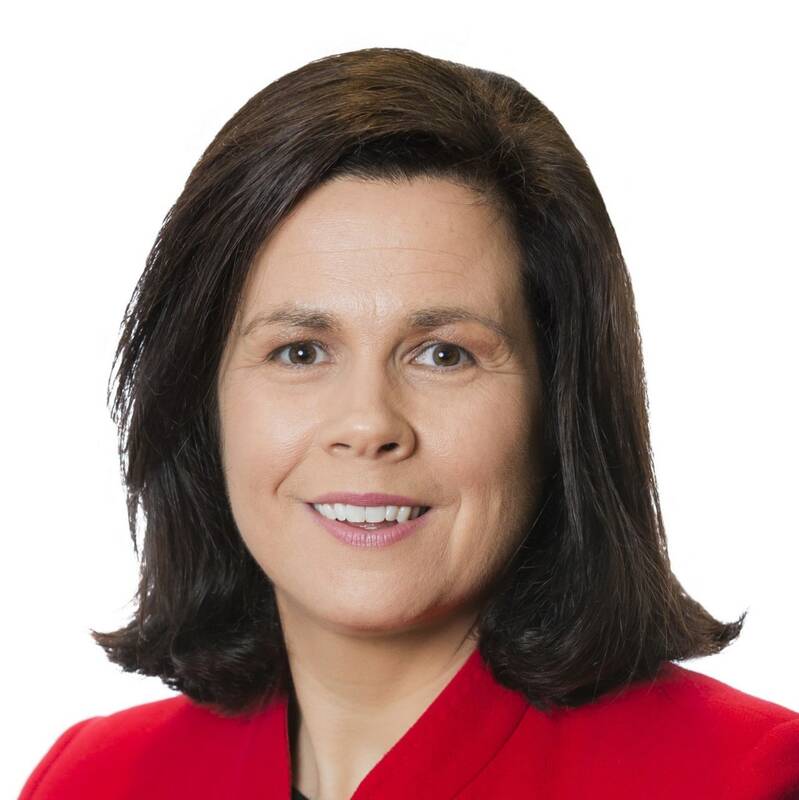 As CEO of Vodafone, Anne has committed to investing in Ireland’s telecommunications infrastructure, resulting in Vodafone's nationwide rollout of 4G. She is also overseeing SIRO, Vodafone’s joint venture with the ESB, who are investing €450m in the roll out of high speed fibre broadband across Ireland. Additionally, Anne is driving the gigabit society agenda in Ireland– with the explicit goal of access for everyone to 1 gigabit broadband speed. Equality of connectivity will change how everyone in Ireland lives, works and plays. A Cork native, Anne champions wellbeing and diversity in the workplace and has spearheaded Vodafone securing a position as one of Ireland’s top ten Great Places to Work and achieving the Business Working Responsibly mark. Anne is currently President of Dublin Chamber of Commerce and is Chair of the Board of Directors of Goal. Anne is a keen triathlete who competes regularly. Julie Spillane is Commercial Director for Accenture’s global geographic services division and Founder of The Dock, Accenture’s global research and incubation hub. She led The Dock from its inception in 2015 until 2018, growing it from scratch to a 300 strong multi-disciplinary team made up of highly talented experts in design, engineering, artificial intelligence and IoT. With a background in electronic engineering, finance and corporate governance, Julie has held numerous senior leadership roles in the Technology industry with experience ranging from the design, setup and scaling of new operations to the implementation of major global transformation change programmes. She’s previously worked in companies including Microsoft, Epicor and MPO. Passionate about education and skills, Julie has worked with government to craft a new national skills strategy and with industry peers in the Multinational Technology Forum, which she founded and chairs. Julie also sits on the government Action Plan for Jobs Steering Committee for the Dublin region and on the Board of the Trinity College Dublin Research and Innovation Hub. She is an avid supporter of Coder Dojo having established Accenture’s first Dojo at the Dock, and there are now 20+ Dojos across Accenture offices globally. Barbara is the Director of Engineering at HubSpot, where she oversees HubSpot’s Dublin engineering team, which develop a number of HubSpot’s core products. Barbara has a history of growing large tech teams, having held positions such as VP of Software Development for Houghton Mifflin Harcourt and Software Development Director for Inspired Gaming Group. She is passionate about diversity in the tech industry and about growing/promoting positive engineering work cultures, is a regular speaker at industry events and was recently featured on Silicon Republic's 25 of Ireland's phenomenal women of engineering. Caroline loves the challenge of scaling distributed systems with distributed teams. She is Director of Engineering in Workday and heads up a global engineering team who scale the platform for Workday’s largest customers. She has worked for the past twenty years on projects across a variety of industries - government, financial and telecoms, both as an engineer and a technical manager. Her passion for building scalable distributed systems is equally matched with her passion for building effective high-trust teams. She has a degree in Computer Science and a Masters in Networks and Distributed Computing from Trinity College Dublin. 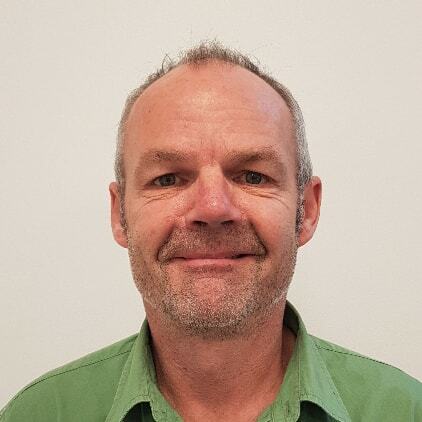 Stephen is responsible for Dell’s Global Field Services business and manages the delivery of warranty break fix services and Partner delivered Deployment services for Dell’s customers globally. He also provides executive leadership for Dell’s Bratislava site (Dell’s largest European site) where he acts as General Manager. Stephen plays a very active role in promoting diversity within Dell and is one of the founding executive members of Dell’s MARC program globally and in EMEA. He was recently nominated for a Courageous Leader award by the US organization White Men as Full Diversity Partners. Stephen is also a member of the Catalyst Europe Advisory Board (CEAB). Stephen’s professional career in the Information Technology Services industry spans more than 28 years and includes a diverse range of areas such as IT training, Operations, Managed Services & Warranty Services. 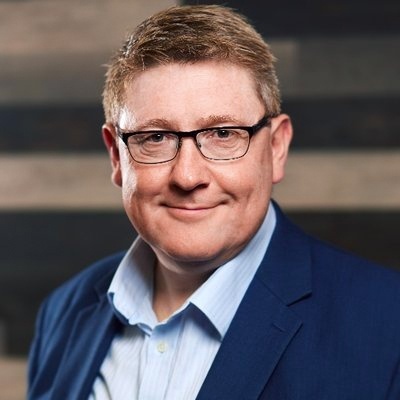 Stephen joined Dell in 2002 and, prior to his current role, led EMEA Field Services business as well as holding a number of other leadership roles in Dell Services. Prior to joining Dell Stephen held numerous Programme Management positions in Bank of Ireland, Compaq and Digital. Stephen currently lives in South Moravia in the Czech Republic with his wife Petra and 3 daughters. As Head of The Foundry, Sarah is responsible for running Google’s largest event centre globally. Prior to her current role Sarah worked in Google digital sales for 9 years. As Sales Manager for the Irish market, her team was responsible for helping businesses of all sizes integrate digital into the heart of their marketing strategies. In 2015 she founded the successful Google Breakfast Briefing series to bring free digital education to Irish SMEs. The series has attracted over 20,000 attendees to date. Alastair Blair is Country Managing Director for Accenture Ireland. 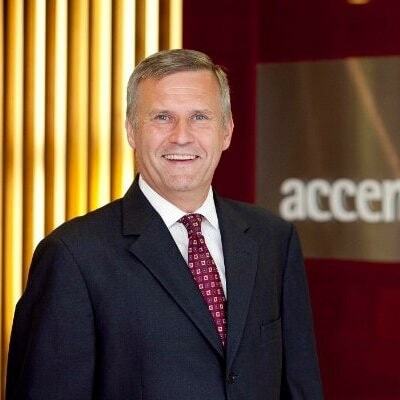 Since joining Accenture in 1987 Alastair has fulfilled a number of senior roles with a particular focus on financial services working in the UK, Ireland and internationally on a broad range of strategic, communications, change management and execution initiatives. Alastair has extensive knowledge of business strategy, IT, organisational change management and operational model development. Alastair is a member of the Executive Board of the International Regulatory Strategy Group and sits on Accenture’s UK and Ireland Executive Management Team. He is a keen supporter of the company’s diversity programme including the LGBT Straight Allies and “Accent on Gender’ programmes which promote full gender equality. Marie is a senior Assurance Partner and Technology sector leader for EY Ireland with over 25 years' experience in practice. She serves some of EY’s largest global technology clients and has particular experience in large Shared Services Centres, and founded and facilitates the Shared Services Centre Forum hosted by EY in Ireland. Marie is a Fellow of the Institute of Chartered Accountants in Ireland and holds a Post Graduate Diploma in IT Applications from Dublin City University. She is also Treasurer and a Director of Make-A-Wish, a charity which grants the wishes of children aged between 3 and 17 living with life threatening medical conditions. Listed as one of the UK's Top Most Influential Women in Tech (by Computer Weekly), an NI 40under40, Sheree (@nirushika) is a 27 year old, working as a Tech Business Consultant, Deloitte; Founder, I Am Lanka; Board-Appointed Global Ambassador, Women Who Code. As a passionate advocate for gaining/retaining women in the tech industry, she launched & led the award-winning U.K. expansion of Women Who Code (womenwhocode.com), since 2013. Her career aim is to ensure people are aware of the fantastic opportunities the tech industry offers & make certain people (regardless of gender, race, social stature) are able to benefit from these & reach their full career potential. Sarah is Vice President of Mastercard’s Dublin Technology Hub where she is focused on growing the impact of Mastercard’s Dublin operation. The Dublin Tech Hub is Mastercard’s only Tech Hub in Europe with over 400 employees and growing - the majority of whom are technologists dedicated to shaping Mastercard’s global future through deep expertise in payments security solutions, APIs, cutting-edge emerging technologies, and much more. Over her circa. 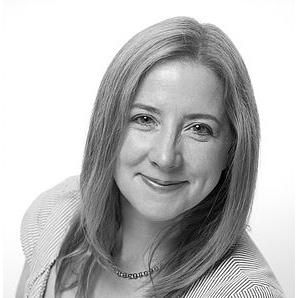 20-year career, Sarah has held various Strategy, Marketing and Leadership positions in companies including Google, BT Retail UK, CapGemini and Accenture. A former Management Consultant, Sarah holds a Degree in Business & Law from University College Dublin and Google’s MBA-level ‘Marketing Academy’ executive education diploma from INSEAD business school. In her spare time, Sarah is an avid hiker and has completed hikes in the Himalayas, Lesotho, the Inca Trail and most recently, a 140km leg of the Camino de Santiago. As Pre-Acceleration leader at NDRC, an early-stage investor in technology start-up companies, Helen has overall responsibility for the design, development, sourcing, delivery and evaluation of pre-venturing support at pre-seed investment stage. A passionate advocate of female entrepreneurship, she led the delivery of NDRC Female Founders six-month accelerator in partnership with Enterprise Ireland. She has recently completed the first global study of the value of peer support in female business venturing. Prior to joining NDRC, she was General Manager with ClubCorp in Beijing, China, having worked with the organisation in the United States as a General Manager, Regional Manager and as a member of the corporate revenue team. She received numerous accolades for operational excellence and customer experience transformation. She attributes much of her success to an ability to unite teams around a shared, user-centred, vision. Caragh O’Carroll, Account Director and Telecoms Sector Lead, has a keen interest in data strategy and the potential of data-centric companies. She focuses on transformation through combining business challenges with technology solutions for both managed services clients and new customers. Caragh is passionate about co-creating and articulating how technology can improve and change our working and daily lives in this age of rapid digital transformation. With a background in engineering, operations, product management and partner management, she has insights into many business challenges and opportunities. She has presented widely on GDPR and also recently on Artificial Intelligence in London. Fiona started her career in IBM Ireland in 1995. She held a number of marketing and sales positions, both in Ireland and in EMEA, before becoming the Country General Manager of Lenovo Ireland in 2005. In 2008, Fiona moved into the EMEA Operations team and led the formation of the Global Account Organization. Prior to her current role, she ran the Project Management team responsible for driving transformation initiatives. Fiona holds a BSc Management & Adv Diploma Marketing Techniques from Trinity College, Dublin, and an MA Marketing. She is married and has one son. She is based in Dublin, Ireland. Aisling Keegan is the Vice-President and General Manager of Dell EMC Ireland. 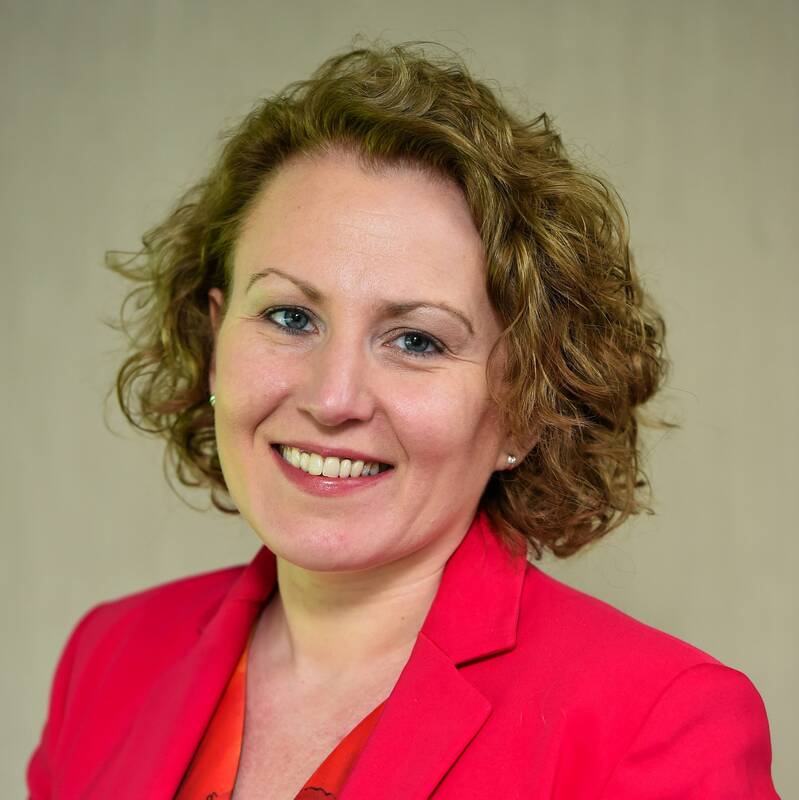 Aisling is responsible for driving the Commercial business on the island of Ireland, delivering a wide range of services, solutions and products to a diverse group of customers in the public and private sector. In her 19 years at Dell EMC, Aisling has held a number of leadership positions across the small, medium and large enterprise customer segments in Ireland and the UK. She is well respected in the industry and was recently named the WMB Businesswoman of the Year 2018. Liam Halpin is the Head of Sales Solutions for Europe, Middle East & Africa with LinkedIn, based out of our HQ in Dublin, Ireland. In addition to leading Sales Solutions at LinkedIn for EMEA, he is a member of the Sales Solutions Global Leadership Team & also serves as a member of the LinkedIn EMEA Leadership Team. Throughout his career spanning over 25 years, he has worked in Ireland, the UK and Germany in sales & senior management positions with a number of multinational brands within the Tech Sector, including Canon, Panasonic & Fujitsu Siemens. Prior to joining LinkedIn in July 2016 Liam spent 5 years at Dell where he initially represented Dell as Ireland's General Manager and Executive Director for Dell's PC business in Western Europe. Liam is passionate about Sales, Technology, Diversity Inclusion & Belonging, Integrity, Elevating the sales profession, building great teams and having a great time. He is married with 5 grown up children and is from, and currently lives, in Co. Kildare. 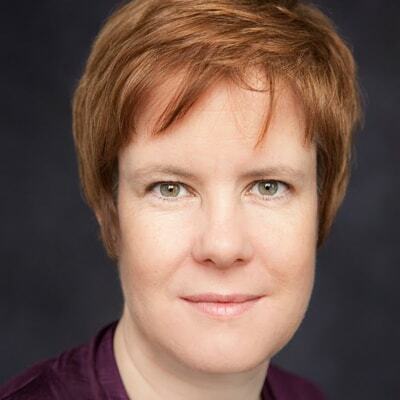 Priscilla O’Regan is head of communications for BT Group in Ireland. Her broad remit encompasses public relations, sponsorship, events and hospitality, diversity and inclusion, internal communications and engagement, and corporate responsibility including the BT Young Scientist & Technology Exhibition. Since joining BT in 2003, Priscilla has held a variety of roles including Communications Manager and Head of PR. Prior to BT, Priscilla’s roles included Account Director at Simpson Financial & Technology PR in Dublin, Communications Executive at IBM New Zealand, and a business journalist in Bucharest, Romania. Priscilla holds a B.A. in Journalism from Dublin City University. 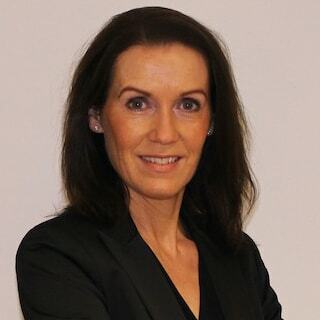 She is on the Steering Committee of Connecting Women In Technology (Ireland), the Leadership Team of Lean In Ireland and a supporter of the 30% Club Ireland. 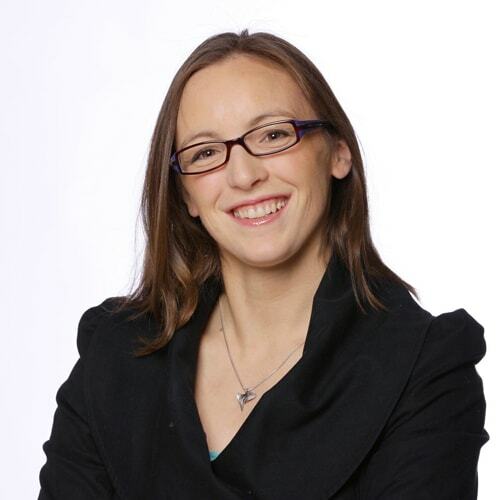 Oksana is an expert with over 15 years of experience in various areas of offline and online marketing. Over last 6 years she's been consulting mobile app and gaming advertisers at Google and Facebook, and now heads up Growth Partnerships team at Applovin. Rachel joined Aer Lingus as the Chief Financial Officer in October 2015. She is responsible for all areas of Finance including financial analysis, business control, strategic financial planning, procurement, insurance, tax, treasury, reporting and statutory accounting. Rachel is also responsible for the IT and Digital & Mobile functions, covering day to day operations across all systems, cyber security and development of new technology solutions. Prior to joining Aer Lingus, Rachel was Chief Financial Officer at IAG Cargo, the cargo brand of International Airlines Group (IAG). Prior to joining IAG Cargo in 2011, Rachel held a number of finance positions at British Airways (BA) including working on the Heathrow Terminal 5 project and roles overseas in Sydney and New York after starting out on the BA graduate programme. 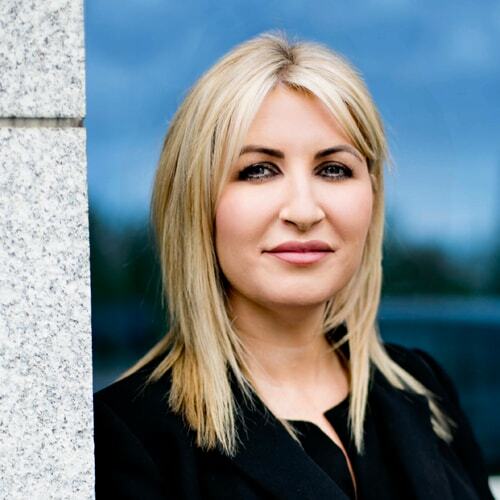 Rachel is currently a Board member of Aer Lingus and has previously held Board positions with IAG Cargo and Dunwoody’s Air Services, a cargo handling and selling joint venture. Rachel holds an honours degree in Astrophysics from Birmingham University and is also a chartered management accountant. She is married and enjoys travelling and reading. As CTO for EMEA region, Margaret’s role ensures that First Data delivers its strategic focus of helping its clients grow their businesses. She has responsibility for infrastructure delivery and IT service within the region and acts as a business partner for delivering business solutions and opportunities. Prior to First Data, Margaret was Head of IT, GE Money (Ireland) at GE Capital and held senior IT roles in HBOS and AIB. She is a Fellow of the Irish Computer Society and is listed in the Business and Finance Top 100 CIOs in Ireland for 2017 and 2018. Geraldine MacCarthy is the Head of EMEA Sales at Dropbox. At Dropbox, customers are at the center of everything that we do, and Geraldine’s team work with of our Business and Large Enterprise customers across EMEA to ensure that they have the right solution in place to accommodate their specific business challenges and needs. Geraldine joined Dropbox in 2014, where she built the EMEA business up from a 25-person team to over 300+ strong today, building a sophisticated sales team and led the opening of offices in London, Paris and Hamburg. Prior to Dropbox, Geraldine spent 8 years at Google in Dublin, Poland and San Francisco, leading teams through start up and growth phases. Geraldine has been a strong advocate for diversity and inclusion through much of her career; she was a participant in the first Female Founders Forum in Dublin in 2014 and in Dropbox she established the WomenInSales group. She was recently recognised by Silicon Republic in The Workplace Advocates: 23 women sending the ladder back down list for her dedication to making Dropbox an inclusive and diverse place to work! Furkan is a women in tech, diversity and female founders ambassador. Founder and CEO of the “Best Diversity Resource Award” finalist Diversein.com, global diversity and inclusion platform that brings people from different backgrounds together to make equal and happier workplaces. Furkan is also founder of Giftoven.ie, end to end luxury gifting solution for corporate clients. She is an award winning software engineer, turned into an entrepreneur. Dublin Chapter Lead for Sprinters.co, global diverse female entrepreneurs organisation. Member of Dublin Chamber of Commerce and Women in Business Network. 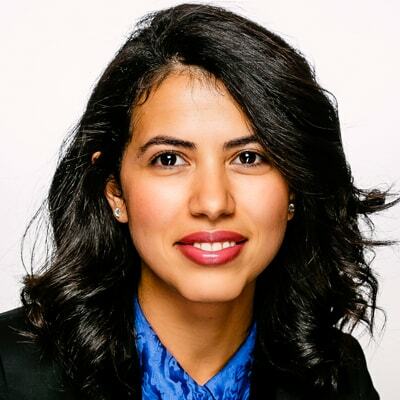 Furkan is an active speaker at international events about her journey into tech world as a woman, her recommendations for women in tech issues and power of diversity and inclusion at workplace. She enjoys inspiring start-up companies and connecting STEM girls with strong and successful business women as role models. Additionally, Furkan is shortlisted at multiple diversity awards including “Diversity and Inclusion Role Model in Business” and “Diversity Champion”. Catarina Oliveira is a Senior Software Developer at Groupon. She is from Portugal and moved to Dublin 4 years ago. 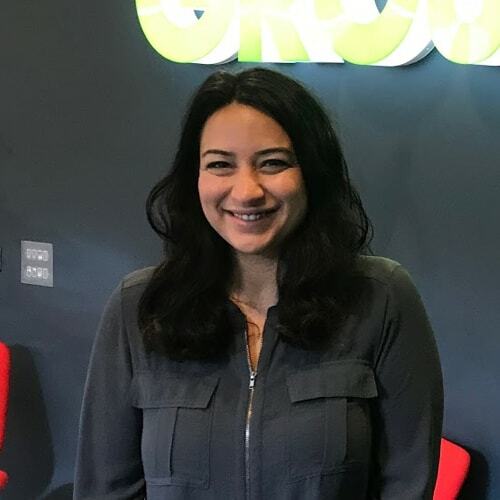 At Groupon Dublin, she works in the Computational Marketing and Merchandising group that aims to leverage new technologies to optimize marketing campaigns across all platforms. She leads the development of large-scale services which provide real-time deal performance tracking and deal recommendations, using a variety of Big Data technologies. Caroline McMahon is a Software Development Engineer at Workday. Although born in Ireland, she lived in The Netherlands and the UK until she was 10. She holds a B.Eng.Sc. in Electronic Engineering and a Master of Engineering degree in Electronic & Computer Engineering from University College Dublin. Caroline’s master thesis was on the topic of “The Quantum Fourier Transform and Quantum Computing”. As part of her studies, she completed the equivalent of two semesters of Physics at Harvard University, a semester at Purdue University (on exchange) and attended the Summer Institute of General Management at Stanford Graduate School of Business. 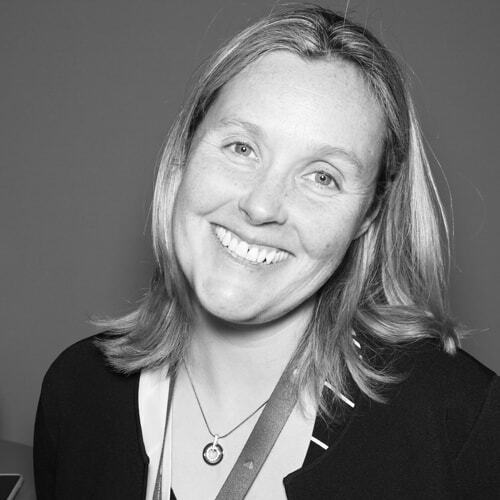 Dr. Cliodhna Ní Scanaill is a Software Engineering Manager in Intel-Movidius, where she leads the team responsible for developing the next generation application programming interfaces for Movidius products. She previously worked in the IoT Systems Research Lab in Intel Labs Europe, where she was responsible for developing, deploying and managing large-scale sensor-based systems for environmental monitoring. After graduating with a Ph.D. in Biomedical Electronics from the University of Limerick, Cliodhna was a software engineer, researcher and principal investigator on Falls Prevention strand at the TRIL Centre. She has participated in STEM and diversity initiatives for over 10 years, including being an Intel representative to Connecting Women In Technology. She is the co-author of Sensor Technologies: Healthcare, Wellness and Environmental Applications - ApressOpen 2014. Tugba Tosun is a Senior Data Engineer at Groupon. She moved to Dublin from Turkey 2.5 years ago. She is as a part of Groupon Enterprise Data Warehousing team in Dublin which is responsible for creating low-latency, high quality pipelines, providing data to the business needs. She lead the GDPR team which aimed to build and implement all processes within the data warehouse to be fully compliant. She works with various Big Data and Relational Database technologies and platforms, developing large-scale data pipelines. With over 20 years experience in artificial intelligence and speech recognition technology, Dr. Patricia Scanlon has spent the majority of her career working on the commercialisation of research innovations. Scanlon holds a PhD in Speech Recognition technology and Machine Learning systems and has held positions with Columbia University in New York, IBM T.J. Watson Research Centre, Trinity College Dublin and Nokia Bell Labs. 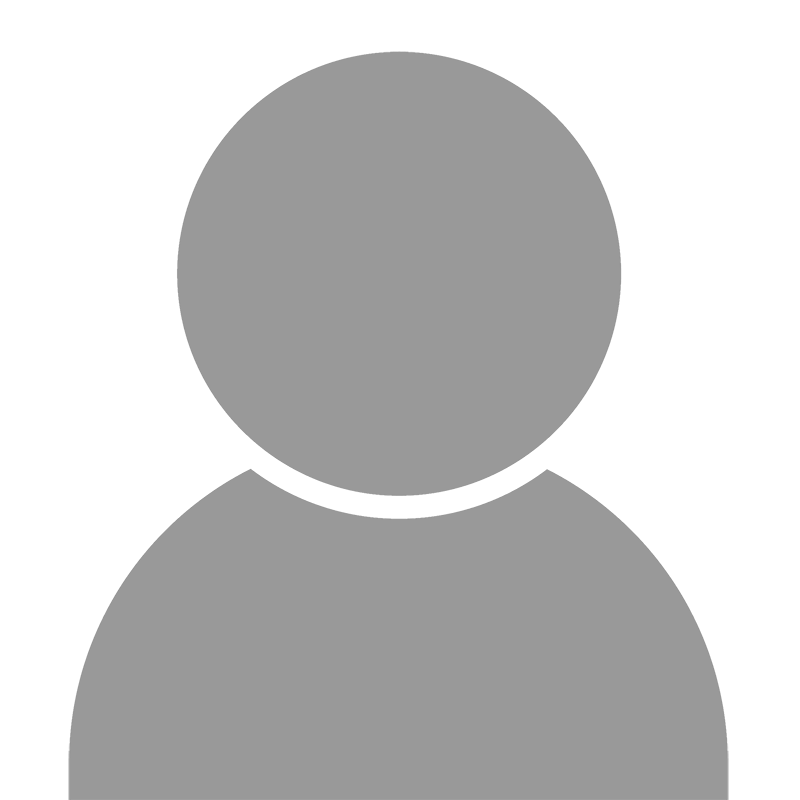 Scanlon is currently founder and CEO of SoapBox Labs. 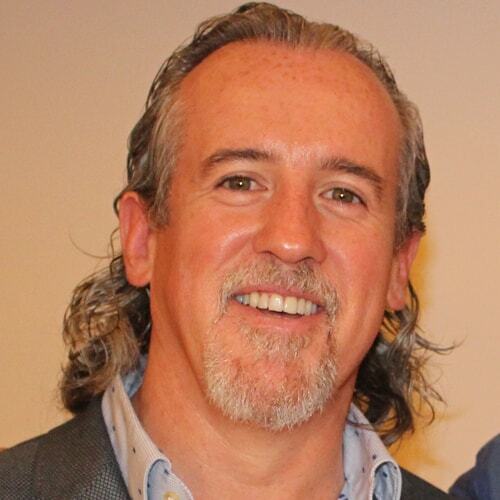 Fintan has worked for 30+ years in various technical, VP and senior managerial roles in the technology sector. He is a co-founder and CEO of Ubotica Technologies, an Irish company focused on delivering integrated Computer Vision and Machine Learning solutions “on the edge”, with a focus on the Space, Automation and Bio-Medical market segments. Previously, Fintan worked with Scenario Design, a US based design/build construction company which developed Computer Vision technology for the theming industry, whose clients included Disney and Universal Studios, and Trintech Technologies, a provider of credit card terminals for the retail sector. He was a founding employee of Parthus Technologies, acting in a variety of senior technical and management roles contributing to the company’s successful floatation on the NASDQA and LSE stock exchanges. He graduated from TCD with a BA (Mod) Computer Science in 1983. 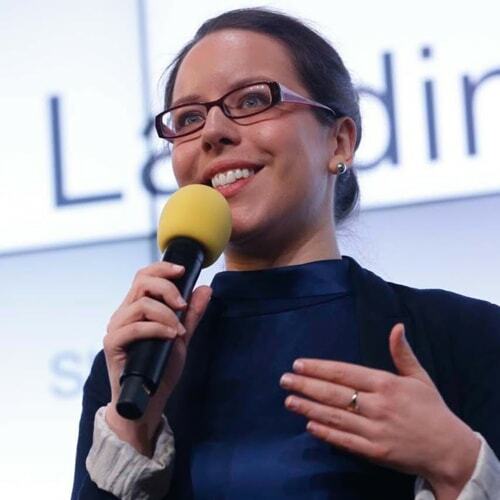 Léonie is a Senior Engineer with Ubotica Technologies, an Irish company focused on delivering integrated Computer Vision and Machine Learning solutions “on the edge”, with a focus on the Space, Automation and Bio-Medical market segments. Previously, Léonie worked with Movidius, specialising in 3D audio reconstruction and hashing for large-scale volumetric maps on the Myriad chip family, and publishing and presenting on both topics. Léonie is an avid sports fan, playing camogie for Cuala GAA and running for the Civil Service Harriers. She graduated from TCD with a BAI Computer and Electronic Engineering in 2016. 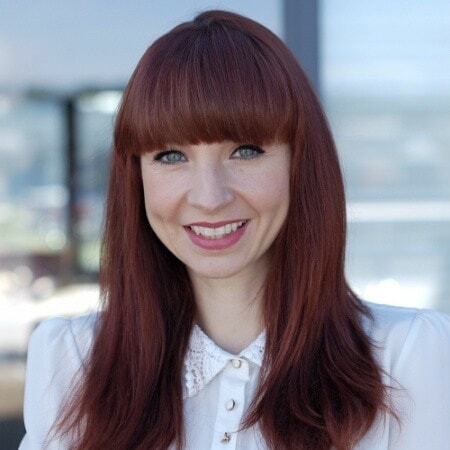 Ciara Garvan is the founding director of WorkJuggle.com, an innovative, online platform connecting highly skilled professionals with flexible, remote and contract roles. 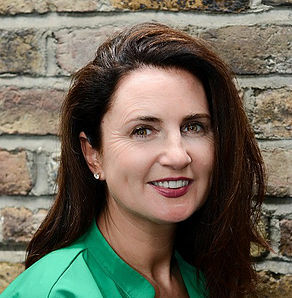 Ciara has been a notable contributor to the Irish technology industry over the past fifteen years, holding senior roles in blue chip companies, such as Accenture, Eir and Meteor. <p> Ciara holds a Masters in Applied Computing and was recently invited to be an external assessor on the DIT Masters in Advanced Analytics for Engineering Professionals. Since founding WorkJuggle in 2016, Ciara has taken the business, which was named as one of Silicon Republic’s top Irish Start-ups 2018, from strength to strength. Nikki Lannen is a leader in the augmented and virtual reality space in Ireland. She is the Founder and CEO of WarDucks, an AR & VR studio focused on making high quality games and experiences. WarDucks have launched 5 consecutive hit games. She founded WarDucks in 2013 and along with a highly qualified (and ridiculously talented team) they began creating top class content for augmented and virtual reality platforms. Of their 5 hit titles, their most recent title RollerCoaster Legends was the #2 top selling game on PlayStation VR in December 2017. Nikki also runs the IRISH AR & VR MeetUp which takes place every 2 months. A chance for anyone building Augmented and Virtual Reality products in the Irish community to come together and showcase what they are working on. 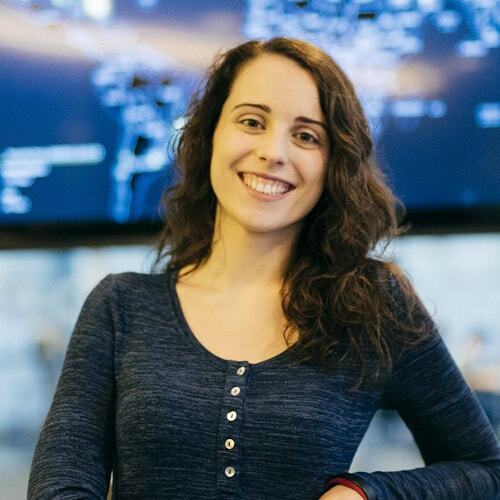 Johanni develops Machine Learning solutions that solve some of the toughest problems at Workday. She specializes in unsupervised learning and network science, impacting integrations and internal server teams at Workday. Before joining the ML team, she played a core role in building out Workday Private Cloud and still remembers the days of WPC pre-1.0 version. She holds a degree in Business & Computer Science from Cornell University. Kate is an Operations Manager in the Corporate Engineering team at Google. In this role, she focuses on IT Operations both locally in London and across Google, helping to keep Googlers productive with technology. She is passionate about career growth and development, turbo-boosting teams by bringing more diversity into tech, and is launching the Google IT Apprenticeship in the UK in October 2018. Prior to Google, Kate was a technical leader in companies including the BBC, Lastminute.com, FINkit, and Moonfruit. 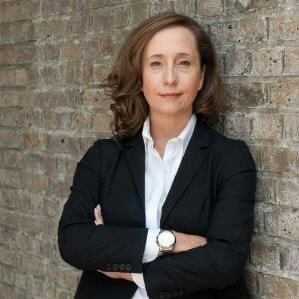 She was an engineer prior to that at Doubleclick, Nortel, Liberate Technologies, ExxonMobil and the BBC. She earned a Masters in Engineering from Imperial College London, where she graduated with honours. Born and raised in Ireland Kayleigh has spent the last 10 years in a variety of support and engineering roles in the software and service industry. 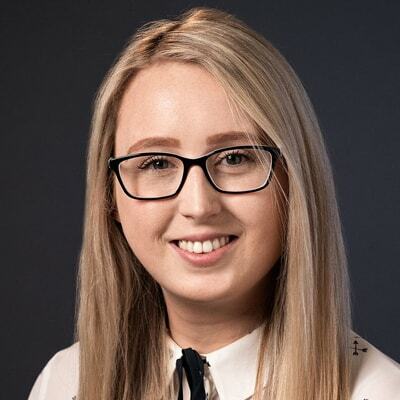 Most recently, Kayleigh has taken over the leadership of Campaign Support in the EMEA Region, focusing on improving the Customer Experience for Adobe’s Enterprise Customers. Kayleigh has recently completed the Adobe Brand Training which has fuelled her passion for personal branding. Away from work, Kayleigh’s passion is playing the violin and keeping up her love of traditional Irish music. Jillian is a co founder and journalist in the Blockleaders.io. She has held senior positions with global PR companies in Sydney, Singapore, London and Dublin. She was PRO of Iona Technologies (Ireland’s first company to float on NASDAQ). She changed the law in Ireland in 2014 and is a former European Parliamentary candidate (as an independent). She is advisor to a number of ICOs, has been named a Crypto Queen by In Zero Conferences as well as listed in the 50 most influential women in the global blockchain rollcall. She is named amongst the top 10 people in Blockchain in Ireland. She was voted into the top 20 global Hedera Hashgraph Ambassadors in 2018. She is a board member of the US Blockchain Association and of EOS Dublin. She is CEO of Blocknubie. She keynotes and chairs blockchain events around the world – including Kiev, Austin, Muscat, Columbo, Dublin and London. Niamh Bushnell is the founder and CEO of TechIreland, a not for profit established in Dublin in January 2017. TechIreland maps and tracks all product innovation in Ireland and is on a mission to tell the story of Irish innovation to the world. Prior to TechIreland Niamh was Dublin’s first Commissioner for Startups where she developed a platform, an image and a voice for Dublin as a great tech city. Niamh founded the Dublin Globe publication, the #1stFridayBrekkie, and Mentoring for Scale, a monthly mentoring event for scaling companies. Niamh has been in the technology business for over two decades and spent 16 years in NYC where she built two startups (TechResources and Idirus) and became a mentor and angel investor at Entrepreneurs Roundtable Accelerator - ERANYC. Her first company Pan Research was founded in Dublin in 1996. 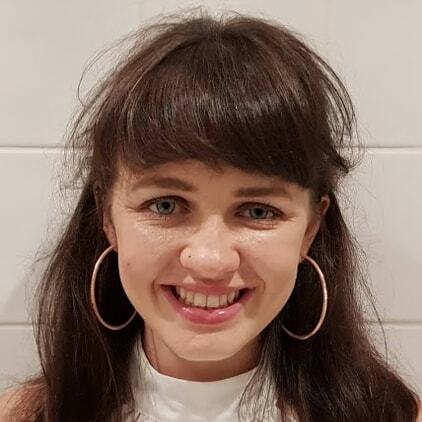 Niamh is on the board of FoodCloud and New Ireland’s Millennial Board. Listed in Ireland’s top 25 women in Engineering, Dorothy joined EPAM in 2017 as part of the core Ireland team who manages EPAM’s largest customer accounts. With over 30,000 employees globally, EPAM was recently named in Forbes Fast Tech 25 list as a global provider of software engineering and IT consultancy services. Dorothy holds a bachelor’s degree in Electronic Engineering and has 18 years corporate experience in Enterprise Technology, Software Engineering, Account Management, and Business Analysis for multinationals and SMEs alike. She previously founded and led her own multi award-winning technology startup, Element Wave: a real-time marketing automation and analytics platform focused on driving increased mobile revenues for media, digital entertainment and gaming industries. Outside the office, Dorothy enjoys travelling to some of the world's most far flung places and negotiating tough moguls on the ski slopes. Olivia MacDonnell (M.A. Voice Studies) is Founder of ConfidentSpeak, a specialist S.T.E.M. communications company working internationally. She is a professional voice and executive presence coach and professional speaker. She is uniquely qualified to understand the challenges faced by women in technology in relation to engaging and influencing listeners. Her career began in the technology and banking world, before she found herself “treading the boards” of London’s prestigious Central School of Speech & Drama (it’s a long story how that happened she says!). Her passion is coaching her S.T.E.M. clients (incl Salesforce.com, Blizzard Entertainment, Stryker, Symantec) to craft and deliver messages with authentic presence and confidence to achieve the results they want from their communications. She does this by blending time-honoured techniques from the world of performance with carefully developed communications tools. Her sessions are practical but grounded in relevance for an audience she knows well. Elizabeth is Senior test lead with Scott Logic, a consultancy who delivers transformative software for some of the world's biggest organisations. My role encompasses advisory work, technical mentoring, recruitment and being a bada** tester. Elizabeth is originally from Dublin, now in London and started in testing in 1998. She coaches teams in how they can take quality dynamics and apply them to delivery practices to make great software and great places to work. Diversity matters to Elizabeth and it is something she thinks about everyday to help her find and retain the best testing talent in London. Ghizlane works as a data and articificial intelligence Technical solutions professional for Microsoft. On a daily basis, her job consists of engaging with customers to help them set their data strategy and get insights from their data using bid data and artificial intelligence technologies. She's passionate about her work ever since she chose to go for a career in data. It's simply fascinating what we can do with it! Priori to working for Microsoft, Ghizlane lived for seven years in France where she used to work as a data and analytics consultant for Capgemini group and then Atos group. Nicola is an Operations Manager in the Corporate Engineering team at Google. She has spent the last 13 years at Google in a variety of interesting roles. Nicola currently helps to manage the IT Residency Program. The program's mission is to provide an exceptional level of IT support to Googlers and to empower the next generation of IT pioneers. She is passionate about Diversity & Inclusion and helping jumpstart careers in the tech sector.